US label appearing on sleeves only. Please use United (9) or United/Superior as 2nd label according to the label layout. 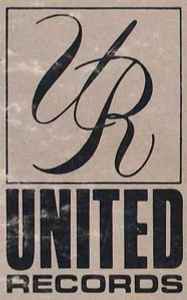 For all releases that have "United Superior Records 5810 S. Normandie Avenue Los Angeles, California 90044" on rear sleeve, you can enter United Superior Records as record company. All of these are reissues of Crown Records (2) or Custom Records (2) releases.